Watchmaker Timex has launched two new activity trackers - the Ironman Move x20 and Ironman Run x20 GPS - for the Indian market. Both activity trackers will be available in India exclusively on Amazon India, priced at Rs. 8,995 and Rs. 11,995 respectively. The Timex Ironman Move x20 (see above) is essentially a fitness tracking band that can track the movement of the wearer all day including measuring workouts, but also notifies and displays calls and texts from the connected smartphone. The Ironman Move x20 is compatible with Android and iOS smartphones running the Timex app. The Timex Ironman Run x20 GPS (see below), on the other hand, is a GPS watch and lets the user track distance, pace, speed and calories burned in real-time while running or working out. Commenting on the launch, Anupam Mathur, Head of Sales and Marketing, Timex Group India Limited said, "With the introduction of Timex Ironman Move x20, and Timex Ironman Run x20 we aim to offer our consumers a confluence of future technology and style, Timex's foray into wearable technology. We are pleased to introduce these new products to our Ironman portfolio designed to cater to the current age of fitness enthusiasts and tech-savvy audience. We are proud to be the only authentic watch brand to bring in such products. Our partnership with Amazon.in to launch the watch exclusively will help in delivering our products and services to the ever-expanding digital audience across the 19000 pin codes in India." Some of the key features of the Timex Ironman Move x20 include tracking (steps, distance, and calories); monitoring sleep (with measuring hours/minutes of light sleep and deep sleep); Workout mode; Find Phone feature that activates an alert on the connected smartphone; goal completion alerts (it requires goal to be set up in smartphone app); a rechargeable Li-ion battery offering 7 days of battery life, and IPX7 waterproof rating (protected against splashing water). 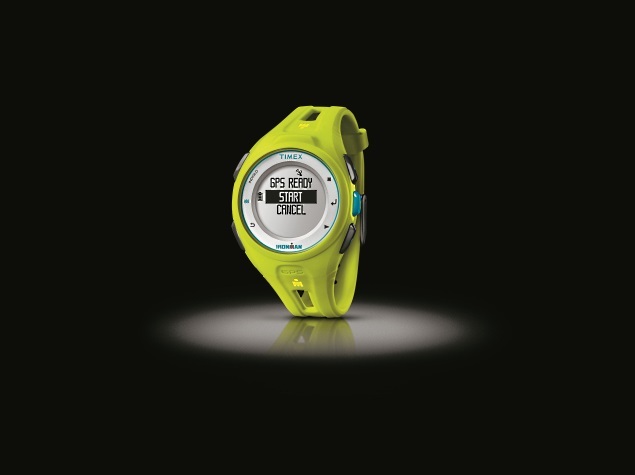 The Timex Ironman Run x20 GPS offers a 10-workout memory with dated summary; stopwatch with 99-lap counter; automatic pace alerts (after each mile or kilometer is completed); rechargeable Li-ion battery with 6 hour life in full GPS mode, and water-resistant-rated to 50 metres (GPS feature not available underwater). Let us not forget the Indiglo back-light.